Sunday night is curry night in the Crowdey household without fail. Tonight, for pretty much the first time in years, it's not curry night as the husband has the lurgy. 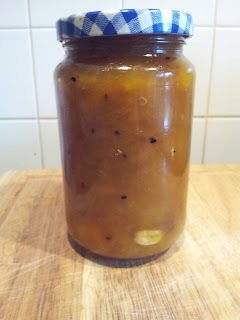 So, my plan to try out the apple and mango chutney I made out of the nearly rotten mangoes Ocado furnished me with on Friday night has gone awry. I really must get out the curry recipe book I bought years ago when I first thought about getting all domesticated and find a decent Bhuna recipe in there. The trouble is I seem to remember it taking three-odd hours to cook and, whilst I'm sure it's worth it, when do I get three hours to myself these days to lovingly cook something. Nope, don't answer that. 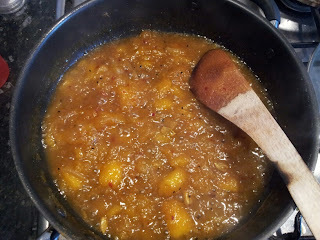 The recipe is another BBC Good Food one because I wanted something to use up the overripe mangoes quickly - it wasn't a pre-planned exercise, I just had all the ingredients for this particular recipe to hand. When it's cooking, it smells and tastes very vinegary, but once it's reduced down, it has a lovely sweet and spicy flavour. I did add a tablespoon of muscavado sugar as it was a little too sweet for me and the molasses flavour of the muscavado helped take the edge off of it. The recipe can be found here. 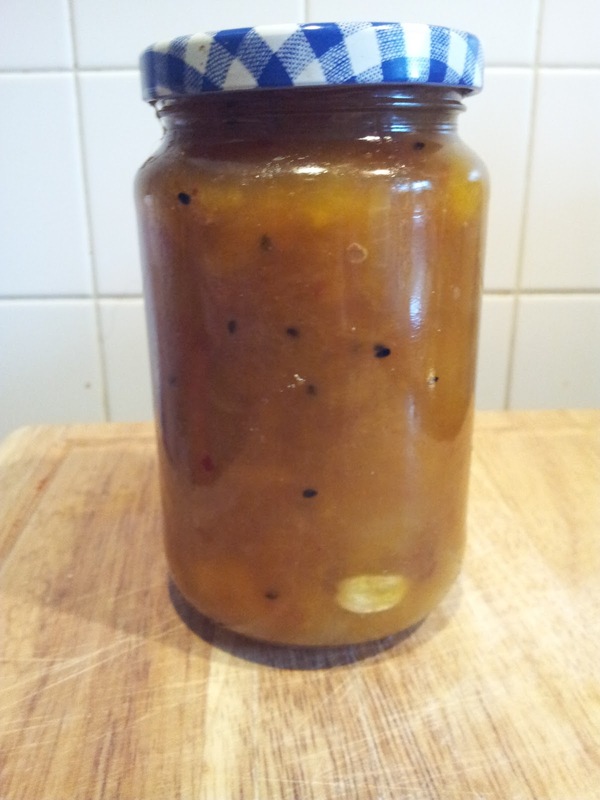 It's pretty easy to make less (or more) - I just made one mango's worth which made a 1lb jar.